Nicki Minaj is spitting fire on this new record. Seems as if the old Nicki is gradually returning with the new material she has been bringing out - just infused with pop like beats. 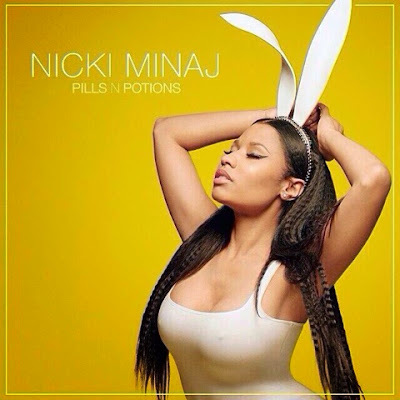 ‘Pills N Potions’ is the first single off Nicki's third album ‘The Pink Print’ and was released earlier today. The Barbs and Kens have already approved of the new single produced by Dr. Luke and co-written by Ester Dean. Ima forgive, I won't forget but I won't dead the issue. They see you doing good now it's kinda hard to diss you. N-gga's be mad when they can't come and live lavish with you." Not speaking to anyone in particular, but to people that have come and left her life; Nicki Minaj is surely pouring out her heart on this one. ‘Pills N Potions’ will be released on iTunes later on today. Fall in love with Nicki all over again with her new single below.